Are you finding it difficult to find a quality used car dealership that can offer you honest pricing, helpful representatives, premium quality vehicles, and a large selection of those premium quality vehicles? Well if so, then you have come to the right place! Budds’ BMW Oakville has a very large selection of used cars and we can provide you with a step by step lesson on how you can find us! Second: Scroll down until you see Budds’ BMW Oakville. Click the link! Third: When you arrive at our website, click on the ‘pre-owned’ tab. This will take you to our list of used cars. As a used car dealership, Budds’ BMW Oakville has an extensive inventory of certified pre-owned vehicles. Fourth: Choose from various search options to find the used car of your dreams! Create convenience for yourself and only have the vehicles that match your criteria appear in the list. Fifth: When you find the car that you are interested in, contact us! Fill out your information in the boxes provided and click submit. One of our BMW representatives will be in contact with you promptly. 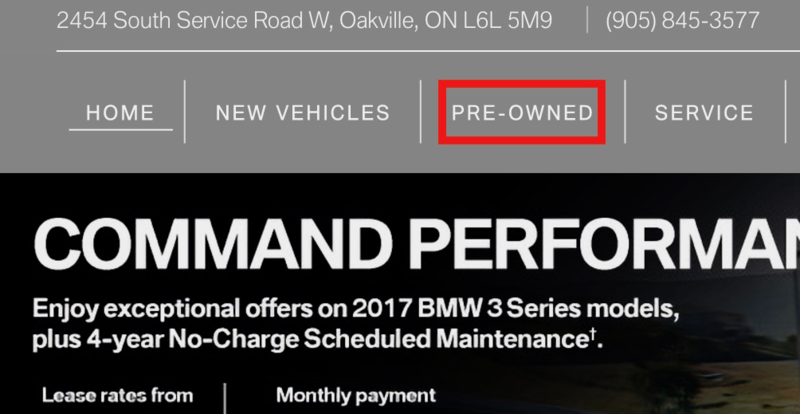 Budds’ BMW Oakville takes great pride in providing our customers with certified pre-owned vehicles and all of our used cars are tested and inspected thoroughly to make sure they meet manufacturer and dealership standards. 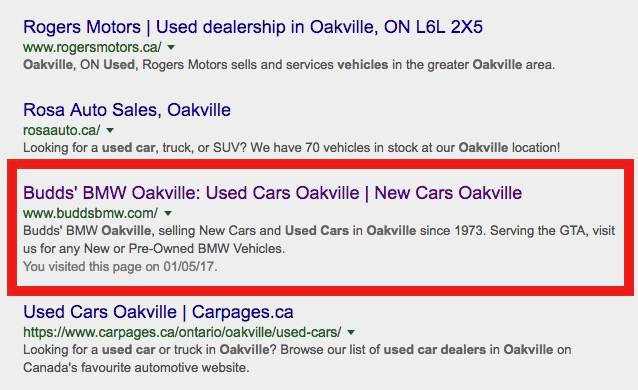 Use search engines like Google to find our used car dealership at Budds’ BMW Oakville. 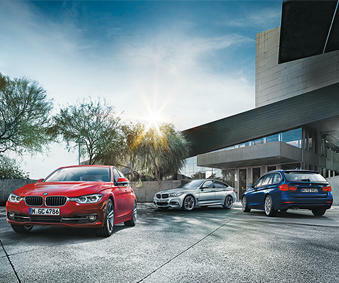 For more information about Budds’ BMW Oakville please continue to browse through our website. 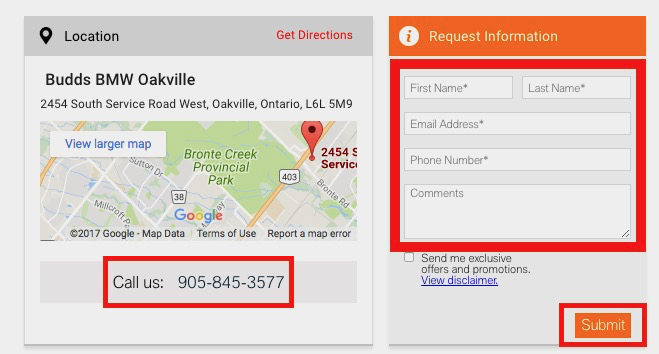 We can also be reached at 905- 845-3577 or by filling out our contact form.